Black 2WD flexfit hats offered with charcoal or silver embroidery. 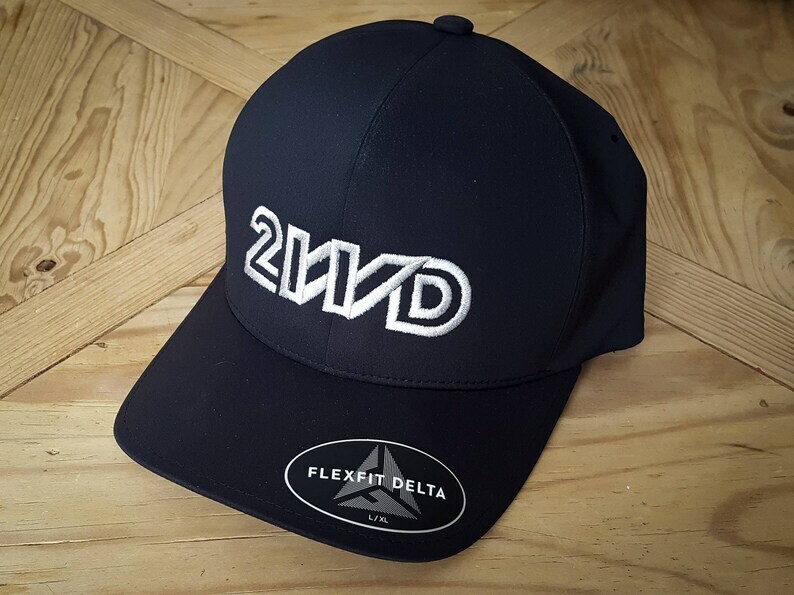 On the front of the hat is embroidered "2WD" and smaller on the back is our logo "VOLKSWEAR". The cap is 92% polyester and 8% spandex. We also offer sizes S/M and L/XL. $24.99 for one hat these will ship 3-5 days after you order.